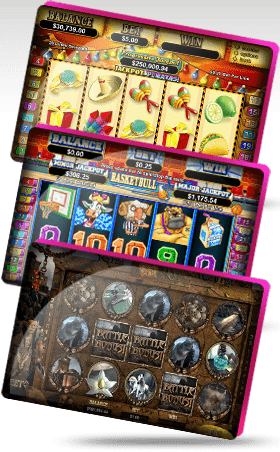 We are huge fans of RTG slots tournaments here at Slots Jungle Casino because they offer some of the most exciting and profitable competitions that the internet has ever seen. We are huge fans of RTG slots tournaments here at Slots Jungle Casino because they offer some of the most exciting and profitable competitions that the internet has ever seen. While some people are content simply spinning the reels solo to find out how much they can win, these competitions truly up the stakes with prize pools that are out of this world. There are many different types that are available, and while the majority of them have an entry fee, there are some freerolls in which users can participate from time to time, as well. Learning the differences between them can help you become successful in these events through our website, too! First of all, it should be noted that most of these RTG slots tournaments are going to require an entry fee. Now, these come in all different levels so your budget won't be an issue. Once you've paid the fee, you will be given a set number of credits that you can use in a specific period of time. Simply put, whoever has the largest chip stack at the end of this time period is deemed the winner. Oftentimes, the top three, 10 or even 25 positions receive a portion of the prize pool which is all of the fees paid by all of the participants - minus our hosting fees, of course. Freerolls are a bit different in that competitors don't have to pay entry fees in order to win real cash prizes, but only a few top positions are paid and the prizes are usually much smaller. There are other RTG slot tournaments in which you might be interested although we don't offer these quite as often here. For instance, Sit-n-Goes allow you to simply log on and participate at random rather than at a set time and date. This means that you'll be notified of the results once the other competitors are finished and you'll receive your payout as soon as it completes. Then, there are also satellite events that take place across several different groups. As people are eliminated, the top participants from each group face off against one another until only one remains. 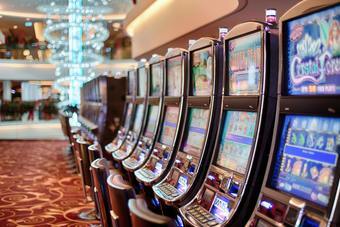 It is important to note that Canadians are welcome at nearly all casino sites which are powered by Microgaming. Unlike Realtime Gaming sites, players from the US are not eligible to play on MGS sites. Other than the location of the participants, there is not much difference between the Microgaming and RTG offerings. Both companies offer a superior product. Ultimately, no matter where you are based, if you can play on a site that offers one of these 2 software products you should be quite content.